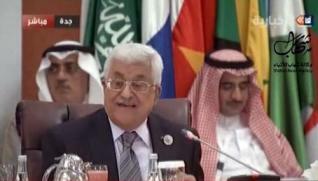 Palestinian Authority Chairman Mahmoud Abbas suffered a defeat on September 9, 2015; his plan to convene the Palestinian National Council, as a means of boosting his legitimacy before speaking at the UN General Assembly later this month, failed. There are many reasons for the failure, but they essentially come down to the PLO’s loss of relevance to the events in the Middle East – both reflecting the Arab world and its order of priorities, and reflecting the Palestinians themselves. The Palestinian leadership has kept clinging to the old agenda and to outmoded institutions as if the struggle for a Palestinian state is the cardinal issue for the Arab world, and not the very survival of the Arab peoples themselves – including the Palestinians – as they suffer assaults from Shiite and Sunni radical armies as well as stream into Europe for refuge. Lamentably, Europe is encouraging the Palestinians to cling to these irrelevant positions. For example, European Foreign Minister Federica Mogherini said recently that the Palestinian problem is the basis of the crisis in the Middle East. Previously, during a lecture in London, she claimed she had a personal obligation to solve the Palestinian problem. The immediate reason for the postponement of the PNC conference was the refusal of the Popular Front for the Liberation of Palestine (PFLP) to attend. In other words, not only is Hamas at loggerheads with Fatah, but also the second largest movement in the PLO. In light of the PFLP’s position, the Fatah leadership – without Abbas’ knowledge – sent a letter to the president of the PNC, Salim Zanun, requesting that the conference be postponed. The PFLP has publicized its opposition to the conference in Beirut – and the location is the problem. At present the PFLP, together with Fatah of Lebanon, is fighting a war of survival against Al Qaeda, and the political calculations of Ramallah are hardly its overriding concern. The crisis of the refugees who are fighting for their lives also clashes with the stances taken in Ramallah. When the migration wave to Europe began, the Palestinian Authority issued a call to settle the Palestinian refugees in the West Bank. The “fine print,” however, made clear that this would be an interim measure toward implementing the right of return and settling these Palestinians in Israel. That is, it is the positions of Ramallah that form the obstacle to helping the Palestinian refugees, and with UNRWA going bankrupt and the international aid organizations bypassing the distressed Palestinians, the PLO – which is supposed to represent them – keeps holding them hostage to the notion of the right of return. The bottom line is that, while there are many reasons for the failure of the Palestinian move, essentially all of the PLO institutions, along with the Palestinian political agenda, are irrelevant to the Arab storm buffeting the Palestinians as well.